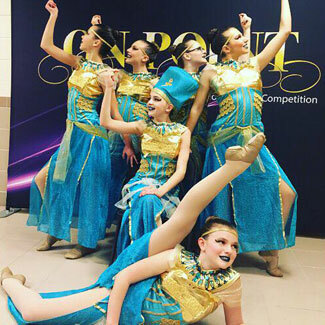 Showcase Dance Productions offers a variety of classic and popular dance genres for students to choose from! For more information on these classes, or for assistance choosing a class for your child, please contact the studio by calling (508) 384-7875 or by email. Ballet is the foundation of all dance forms. Its meticulous attention to technical detail makes it for any serious dancer. This class consists of barre and center work concentrating on proper technique and body alignment. Ballet terminology is taught. A continuation of ballet on pointe shoes. To be eligible for pointe work, a student must have strong ballet technique, correct body placement, proper physical qualifications, and a self disciplined attitude. A personal evaluation is required plus two ballet classes per week. Learn to dance like your favorite princess to princess music. Students will build self confidence and appreciation for dance while learning to express themselves through movement and music. Creative Movement is an introduction to dance through imagination and self-expression. This class is designed to develop coordination, rhythm, and flexibility, and also explore the many ways of movement through imagination. It will include a 15-minute session of tumbling. Note: This class is designed to be fun and promote classroom readiness and does not perform in the June recital. 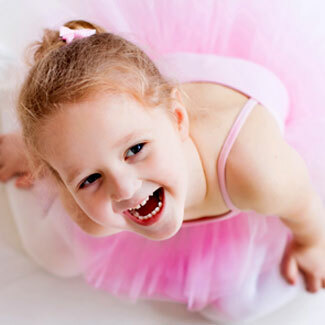 Combination dance class offering basic fundamentals of tap and pre ballet. This class is 1 hour. The two subjects are introduced and taught to keep the students interest diverse. Combo 1 will perform one routine in the June recital. The director and instructor will select which subject. A continuation of Combo Class 1. We will continue with basic fundamentals of tap and ballet. This class will offer a 15 minute, introduction to jazz. Combo 2 will perform two routines in the June recital - director and instructor will select which subjects. A continuation of combo class 2. Combo 3 will perform two routines in the June recital. A stylized form of dance based on fundamental ballet training. The class focuses on proper technique, strength, and flexibility. The class format includes across the floor progressions and combinations. Jazz Terminology is taught. Jazz Funk adds a flair of Hip Hop to the class with more current music. A style of expressive dance that combines elements of several dance genres including modern, jazz, contemporary and classical ballet. Lyrical dance stresses versatility and improvisation, unlike the strict, structured nature of Ballet. Lyrical dancers focus on floorwork, using gravity to pull them down to the floor. This dance genre is often done in bare feet. Lyrical dance is danced to music with lyrics to inspire a story or strong emotion. Ballet is strongly recommended for this class. Contemporary dance is a style of expressive dance that combines elements of several dance genres including modern, jazz, lyrical and classical ballet. Contemporary dance stresses versatility and improvisation, unlike the strict, structured nature of Ballet. Contemporary dancers focus on floorwork, using gravity to pull them down to the floor. This dance genre is often done in bare feet. Contemporary dance can be performed to many different styles of music. Contemporary dancers all believed that dancers should have freedom of movement, allowing their bodies to freely express their innermost feelings. Ballet is strongly recommended with prior Ballet training. A blend of high-energy, "Street Style" movements, to a variety of current music styles. Technique, strength, and flexibility are taught along with the lasted style of moves. A high energy, age appropriate / kid friendly, funky hip-hop class where various dances are influenced by the rhythms and techniques of funk and hip-hop music. 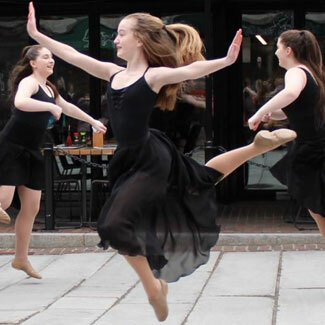 Modern dance is a more relaxed, free style form of dance, in which the instructor uses emotions and moods to design their own steps in contrast to Ballet's structured code of steps. It has a deliberate use of gravity, where as Ballet strives to be light and airy. Originated in the early 1900's by Isadora Duncan and Ruth St. Dennis. Irish dancing is a type of dance originating in Ireland and is traditionally referred to as STEP DANCE. It became popular in 1994 by the world famous show "River Dance". It is known for its rapid leg movements while keeping the body and arms stationary. Irish Step offers many benefits including physical fitness, memory, concentration, as well as poise and confidence. Note: (S) = Soft Shoe and (H) = Hard Shoe. Tap technique is taught through barre and center floor exercises, progressing to combinations in varied rhythms. Tap terminology is taught. 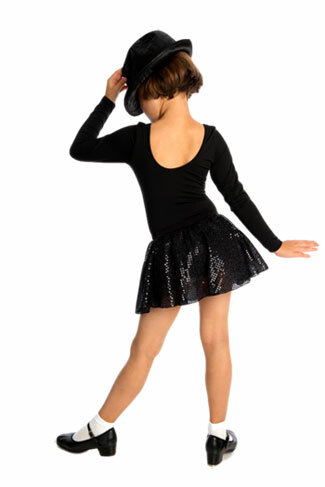 Tap dancing develops rhythm, timing, coordination and musicality. A fun and exciting way to learn about Broadway musicals such as Annie, Lion King, 42nd Street, Sound of Music, Hairspray, Mary Poppins, and many more. Each week the students will watch a clip or study the story of a musical, learn songs, and be taught a piece of choreography. The students will perform in the Student Production with a medley of songs learned from class.